This is stress. That harsh rapid pounding thump that feels like a freight train running through your head. Your mind throbs, as that industrial vise like clamping pressure bears down. It’s known to damage how the brain properly functions. It’s known that to maintain a healthy brain, to keep its structure connected and flowing, this stress level needs to be reduced. What’s known for certain, is that children and young adults, who are exposed to constant stress early in their lives, are more prone to having mental health issues, than those living a sheltered life. This includes mood disorders, substance abuse, extreme anxiety, difficulty concentrating and learning. It’s known that post-traumatic stress disorder, has the ability to trigger and then alter changes in the structure of the brain. This includes the areas on the brain that we use the most, such as connectivity to the amygdala. What’s been studied, is understanding exactly how stress affects the structure of the brain as adults, along with how it affects its functionality. It’s been found that chronic elevated levels of stress, does is generates the overproduction of myelin, while producing fewer neurons. What our brain contains are both white and gray matter. What the gray matter is loaded with, are nerve cell bodies. They’re responsible for the operation of the brain’s higher executive functions, such as computing, advanced deciphering and decision making abilities. The white matter is comprised of axons, which creates a network of interconnected fibers that bonds the neurons, while creating a communications network between the various areas of the brain. The white matter in the brain, is referred to as such because it’s a white fatty myelin sheathing, that surrounds the axons, allowing it to speed up the flow of the electrical signals between the regions of the brain. What was extensively studied was the function of hippocampus, which revealed insight on how this while matter altered those who suffered from conditions such as autism, schizophrenia, ADHD, and depression. What the hippocampus does, is it regulates our emotions and memory, while also playing a key role in mental disorders. It’s also known to shrink when under extended periods of chronic stress. What happens is that the wires harden, which results in too much white matter in certain areas of the brain. The brain then attempts to trim the fat through neural pruning, this to maintain efficiency as well as streamlining better communication within the brain. Cortisol, which is known as the stress hormone, is thought to create a domino effect between the hippocampus and the amygdala, which creates a vicious cycle of the brain becoming predisposed to the “fight-or-flight” scenario. 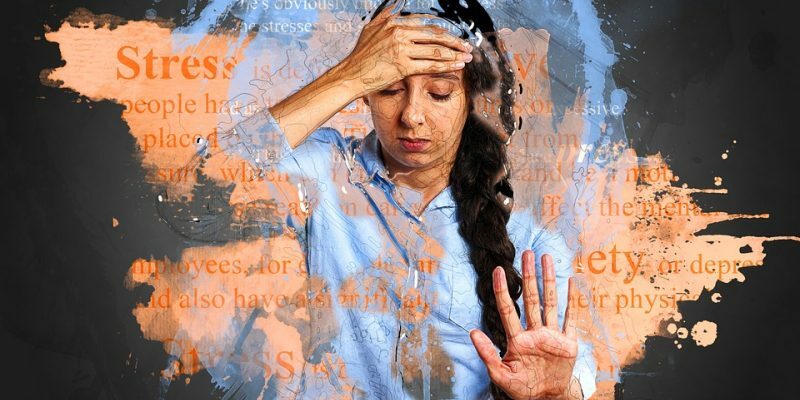 Chronic stress has the ability to flip a switch in the stem cells, which alters them into a completely different cell that inhibits connections to the prefrontal cortex. The purpose of the prefrontal cortex, is to improve learning and memory. What studies have found is that chronic stress, made the stem cells in the hippocampus mature quicker into another type of cell, known as the oligodendrocyte, which produces the myelin that sheaths the nerve cells. What the long-term effect that these oligodendrocytes cells play, is that they can force permanent changes in the brain, which can set the stage for potential mental health issues later in life. What chronic stress does, is it decreases the number of stem cells which matures into neurons, which possibly provides the explanation why stress affects learning and memory retention. The brain usually doesn’t produce enough oligodendrocytes on its own from the neural stem cells, this similar to a vine which spreads out and wraps itself around the axons, which insulates as well as supports them. Test subjects with high levels of cortisol caused by chronic stress had fewer neurons, while having an increase in oligodendrocytes. By blocking the same number of cortisol receptors, it was discovered the process was tied closely to the stress hormone. Although this sheathing is considered vital to the human brain, the formation of myelin can be good or bad, this depending on the place and time. This excessive sheathing could have potentially evolved to bolster the connection between the hippocampus and the amygdala, which would improve the fight-or-flight response during threat or attack. Unfortunately, in the modern hectic world that we now live in, the chronic stress that we experience can completely hijack this fight-or-flight response and then backfire, which forces us to act erratic, crazy, when there’s no actual physical danger. Routine and regular physical exercise, which also includes mindful meditation or yoga, are thought to be extremely effective methods of reducing stress, which lowers the cortisol levels. Although the study didn’t focus on what the benefits were when it came to reducing cortisol, what’s suggested is that making active stress reducing lifestyle choices, improves for better brain structure along with connectivity. What’s been studied is if stress in infants, can affect their brain’s white matter, and whether chronic stress early in life decreases resilience later on in life. What was found, is that moderate stress such as reading or studying for an upcoming exam, can actually build stronger circuitry as well as improve resilience. But prolonged chronic long-term stress can wreak havoc. What’s created is a brain that’s extremely vulnerable to mental disease, this based on the patterning of the white matter that’s formed when infants. The structure of the brain, is also constantly going through plasticity changes, as behavior, chronic stress, and the mindset never properly recover. The power of this plasticity makes it possible, to change its function along with the brain structure throughout our lives. All we can do, is make conscious behavioral and mindset choices on a daily basis. This to reduce the stress levels in our lives, which then improves the structure of the brains connectivity.